And we’re back with more jewellery repair fun. 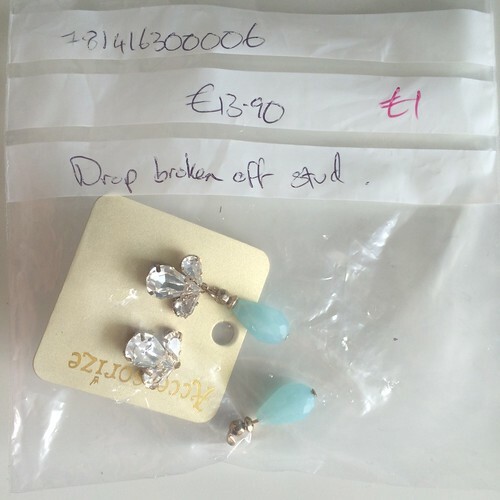 As I explained when I wrote about the gold coin necklace, I bought 11 bags filled with tangled or broken jewellery at Accessorize (Monsoon) for €11 (retail value €296) and am working my way through fixing them all – or, if unrepairable, creatively reinventing the pieces. Who doesn’t love a good DIY project, right? 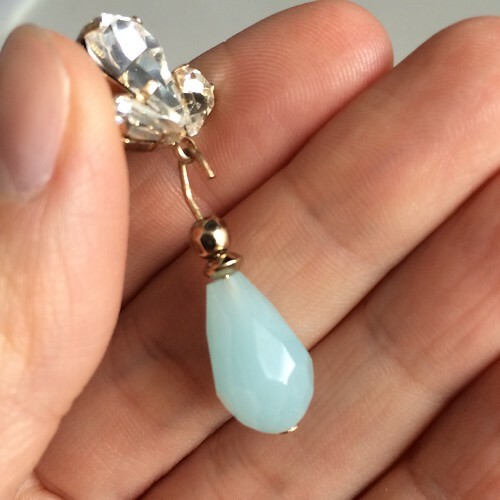 This stunning pair of Anita Teardrop earrings was marked down to €1 from €13.90 because the teardrop came apart from its rhinestone-adorned post. I checked to make sure all the parts were in the bag and evaluated how the functional earring was pieced so I could do the same. With all the parts and information at-hand, I was ready to repair. I placed the teardrop wire through the post’s loop and evaluated the intact earring to make sure I made the loops similar for them to be even on the ears. I took my little pliers with the round prongs to hand for this project and wound the wire once around the pliers while holding the end to create a rounded loop on one side while the other side of the stem remained fairly straight. I made sure there was no gap that would allow the teardrop loop to slip off and it was done. 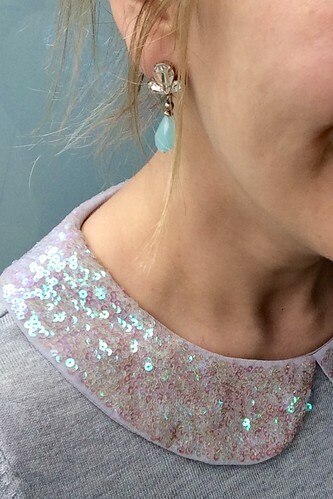 And in the end I had two beautiful earrings that can take me from tea time to evening with a wink. 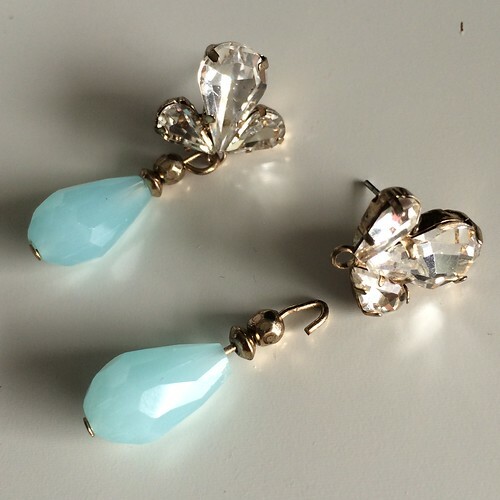 I love the feminine vintage vibe these earrings have and there’s nothing quite like enjoying a €13.90 pair of earrings for €1 and a bit of mending. Sure, I could have just bought a new intact pair for the original price, but where’s the fun in that?! 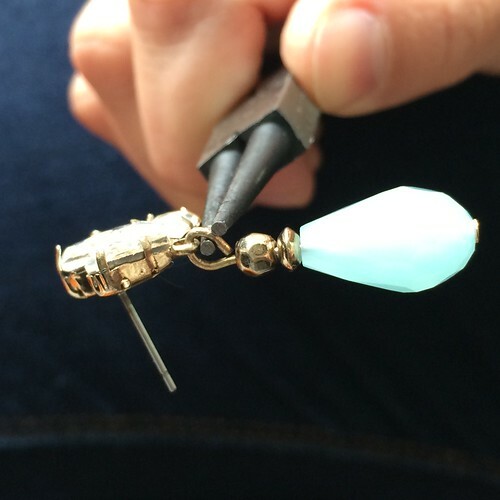 Have you ever fixed a pair of earrings? Do you enjoy wearing them all the more because you had a hand in making them wearable?